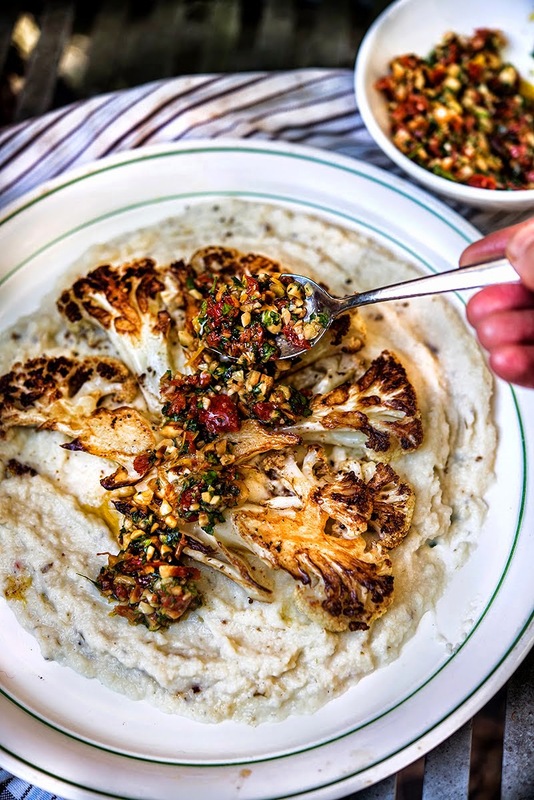 Roast the cauliflower steaks for 40-45 minutes until they are tender and browned on the outside, flipping the steaks over half way through. Meanwhile, prepare the Chimichurri by adding the parsley, oregano, garlic, red pepper flakes, red wine vinegar, and salt and pepper to the bowl of a food processor. Never heard of a cauliflower steak? This satisfying vegetarian dish can make a great appetizer. Cut the cauliflower into four 1.5cm-thick slices, leaving base intact. Cook steaks in extra virgin olive oil in a non-stick frying pan over medium-high heat for 2-3 minutes each side or until golden.